MANCHESTER, Vermont – In 2015, outdoor retailer Orvis created the Breaking Barriers Award to honor individuals who have gone above and beyond to introduce the sport of fly fishing to a more diverse audience. Past recipients have created programs for inner-city youth, under-served veterans, Alaskan natives and children in foster care, to name a few. The recipient of the 2018 Breaking Barriers Award is Whitney Milhoan, executive director of Casting for Recovery® (CfR). Milhoan was presented with the award at a gala dinner during the annual Orvis Guide Rendezvous, which was held in Asheville, North Carolina, from April 12-15. Whitney Milhoan, executive director of Casting for Recovery, recipient of Orvis’s 2018 Breaking Barriers award. Last year, CfR began offering retreats for women with Stage IV metastatic breast cancer, giving them an opportunity to express their deepest concerns with those in the same situation. This year, the organization will partner with Project Healing Waters Fly Fishing to create retreats for women in the military, whose experiences can be markedly different from those of civilian women. In 2017 alone, Milhoan and her team added 10 new programs, hosted 55 retreats in 44 states, and introduced 770 women to fly fishing, while helping to feed their souls. Milhoan grew up near Glacier National Park. 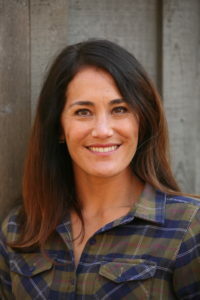 She attended the University of Montana while working as a fly-fishing and rafting guide. It was during this time that she was first introduced to CfR. After graduation, she worked with several nonprofit organizations, utilizing outdoor therapies to promote physical and emotional healing, where she learned, “Outdoor experiences renew our spirits and remind us that we’re alive.” Casting for Recovery was the ideal next step. To sum it up, Milhoan said, “I’m honored to accept the Breaking Barriers Award on behalf of the founding pioneers of CfR, our hardworking staff and board, our dedicated volunteers and most importantly the brave women we serve. Orvis’s belief in our mission and in the healing powers of fly fishing provide the support we need to continue to change lives.” With her warmth, compassion, intelligence and zeal, Milhoan helps to build a road to physical and emotional wholeness for retreat participants, their families, and all those lucky enough to work with her. 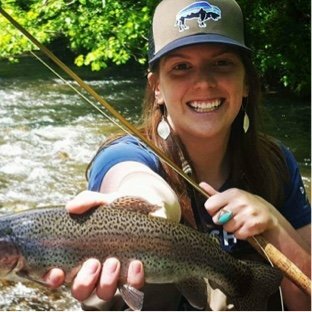 Orvis is honored to name Whitney Milhoan the recipient of the 2018 Breaking Barriers Award. In celebration of the life-changing work of Casting for Recovery, Orvis will donate $1 to CfR for every 2018 participant in FF101, the company’s free introductory fly fishing course. Over three decades ago, Orvis embarked on a mission to make planning a world-class fly-fishing or wingshooting experience easier for our customers. We sought out the best operations and worked alongside them to perfect their systems, and their facilities, and most importantly, the associated customer experience. The result was the Orvis-Endorsed Program. Each endorsed partner has its own character – and therein rests its strength – but all share the same high standards: exemplary service, outstanding fishing and wingshooting opportunities, respect for natural resources, and an experienced, professional staff. Each year representatives from this remarkable network of outdoor leaders within the Orvis-endorsed family are recognized as the best of the best. At the root, these accolades represent the consolidated sentiments of the customer, as the feedback we receive about a customer experience is the ultimate arbiter of success. This designation also speaks to an operation’s environmental commitment, stewardship of their associated natural resource, and partnership with Orvis in providing the finest fly-fishing and wingshooting experience possible for the Orvis customer.